Research on reading has shown that children acquire decoding and reading comprehension skills at the same time, but that each skill develops independently of the other. Children with autism spectrum disorder (ASD) typically perform at average or above average levels when it comes to decoding written language. However, they are generally better at sounding out and identifying words than understanding what they have read. This may be because comprehension is a more abstract skill than decoding. It relies on a reader’s sensitivity to story structure, ability to pick up on referents, make inferences and use prior knowledge of the subject to makes sense of the text. Attention and working memory are also implicated, as metacognitive monitoring strategies ensure the reader is following along. This means that figurative language encountered during reading can be taken literally and they may have difficulty looking at a text globally in order to grasp gist or identify the author’s purpose in writing. Some students with autism are non-verbal. In these situations it can be difficult to differentiate between a lack of understanding following a reading and an inability to relate what the child has understood. For this reason some educators advocate taking a variety of approaches to assess reading comprehension including allowing students ample time to respond to comprehension questions, providing objects they can manipulate to demonstrate an understanding of what has been read and even encouraging the creation of collages that reflect their reaction to a text. Learn more in strategies for students with autism. Early reading instruction focuses on teaching children decoding skills so they are able to sound out written language. This requires phonemic awareness, knowledge of the alphabet and the ability to correctly map sounds to letters and letter combinations. Once a word has been identified, semantic meaning can be accessed. As vocabulary grows, sight-reading skills develop because familiar words are recognized more quickly. When decoding is no longer necessary, the process speeds up and this frees cognitive energy in the brain for focusing on comprehension and making meaning out of what has been read. Learn more about teaching children how to read. In order to make sense of narrative, students must interact with a text by accessing their prior knowledge of a subject and making inferences. Strong readers pick up on gist and specific details, attribute significance to the order in which information is presented and rely on referents within the text to follow along. Other factors such as the coherence of a text and the size of a child’s vocabulary can also impact reading comprehension. For example, it’s important that a ratio of 10:1 known to unknown words exists as too many unfamiliar terms can hinder contextual guessing and cause frustration and cognitive overload. TOP TIP: An easy way to know if a text is beyond a student’s level is to have them read several paragraphs and raise a finger every time an unfamiliar word is encountered. If at the end of the page all five fingers are raised, it may be wise to choose material containing more familiar vocabulary. Students with autism may read and process language in a fluent way. This is in contrast to children with dyslexia who often struggle to decode written language. Nonetheless, these students are not always able to access semantic meaning in the same way. They can have trouble visualizing action and understanding the social interactions upon which many storylines rely. Subtle hints left by the author can be missed or a detail might absorb all of the child’s attention so the rest of the text is not fully processed. 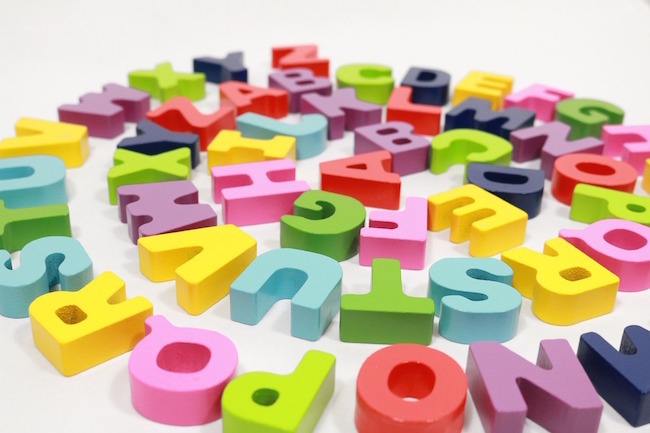 Have you heard of hyperlexia? Some students with autism possess an uncanny ability to read and process text at a very fast pace. Researchers have used brain scans to show that this is due to simultaneous activity in the left and right hemispheres of the brain, allowing for phonological and visual processing to be engaged at the same time. Autism is referred to as a spectrum disorder due to the wide range of symptoms that individuals may present. For this reason it’s important to explore a variety of interventions if one strategy for enhancing comprehension is proving ineffective. Start with audio-books or books that contain images. Some students with autism learn best through sound while others tend to be strong visual learners. Take advantage of this by playing audio-books in the car or on a home stereo or reading picture books that clearly show action and narrative progression. Read together from an early age. The sooner you start reading to a child with ASD the better, as fostering a love of books and familiarity with how they work are important pre-literacy skills for children to develop. Demonstrate active reading skills. Narrate your understanding of a text out loud, even if the child does not seem interested. You might go so far as to ask and answer questions to model the types of internal monitoring that skilled readers engage in. Select material on their favourite subject. Some children take an extreme interest in certain subject areas so try providing them with material that satisfies their thirst for knowledge. Any practice with reading comprehension is helpful even if it means they read several books on the same topic. Show them how to read on a computer or tablet. Technology is often a preferred medium for learning given it doesn’t require any social interaction. Show learners how to research online, read material from the web and access digital books. Emphasize top down strategies. Taking a global perspective in reading can be difficult, as can connecting a text to external ideas. Help learners activate prior-knowledge in order to relate the reading to concepts they’re already aware of. You can try making mind-maps or having a discussion about the topic before the reading begins. Highlight referents and annotate paragraphs. Teach children with autism to monitor their understanding as they read. Show them how to re-read for missing information. It may be helpful to highlight and underline text. Discuss figurative language. Making inferences is not always the easiest skill to master, which is why parents and teachers can help by explaining the meaning behind abstract language. Promote sight reading. The more words a child recognizes, the easier it is to understand a sentence. New readers can reduce the amount of decoding needed by familiarizing themselves with sight words or high frequency terms that they are likely to encounter regularly. Read more about teaching sight words. The Touch-type Read and Spell programme is a multi-sensory course that enhances literacy through the teaching of keyboarding skills. Learners hear a word spoken out loud, see it on the screen and then type the corresponding keys. Modules follow the phonics based Orton-Gillingham approach and students are repeatedly exposed to high frequency vocabulary in order to teach sight-reading. TTRS may be particularly helpful for autistic children as it is delivered via a computer and students can take a self-directed approach to learning. This means they can review past lessons until they feel ready to move on. Learners also benefit from personalized feedback and progress monitoring that helps to build self-esteem and confidence in students of all ages. For more information about Touch-type Read and Spell just get in touch with our team or sign up for a free trial. Do you have any experience with autism and reading comprehension? Join the discussion in the comments! Did you know learning to touch-type can make writing easier for learners with autism? Be the best you can be with TTRS! Touch-type Read and Spell has been teaching typing in a multi-sensory way that supports language development for 25+ years. Learners with ASD enjoy the repetition, computer driven curriculum, and automated feedback. Try our method to see if it can work for you. Start a Free 2 Week Trial today. TTRS provides the auditory input my son really needs. We use it to help with reading, as well as typing and spelling. With TTRS it was the first time since we had started trying different reading programs that I could see he was really comfortable. He would finish a lesson and feel like “I can do this, I’m successful at this, and I’m making progress,” instead of just feeling overwhelmed or like he’s failing.